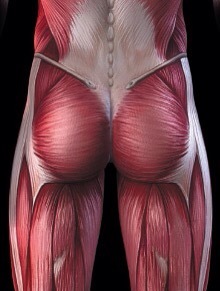 The gluteus Maximus is more than a seat cushion. The gluteal muscles are very important muscles that need to be kept strong to perform everyday basic functions like raising from a chair, walking, running, lifting and stabilizing the pelvis. In today’s world where to many are sitting entirely to much…to many are walking around with weak glutei. What Is the Role of Our Gluteus Maximus? Today, the GM is important in many daily activities such as lifting, walking, and running. Its function in these activities includes helping to extend (or straighten) our hip to bring our thigh in line with our body, rotate our hip away from the center of our body, move our thigh away from and towards the center of our body, and stabilize our pelvis. It may also play a role in stabilizing our knee in extension. During the task of lifting, for example, the GM plays an important role in the extension of our hips and stabilization of our pelvis. Functions of the GM during running include providing trunk stabilization and helping extend our hip on the stance side and decelerate our leg during the swing stage. Weak GM muscles, therefore, compromise our ability to safely and effectively perform many of our daily activities. Weakness can cause difficulty with some of the movements that naturally require the GM, such as rising from the seated position, lifting, and walking and running. GM weakness may also be associated with—although not necessarily the cause of—lower back pain, hip and knee pain, and foot problems. Foundation Training will wake your glutei up, activate them and strengthen them. The glutei muscle group is very important in the posterior chain and needs to be worked in unison with other posterior chain muscles such as the hamstrings. Foundation Training will balance out these muscles groups so they may work better together. So, stop sitting…stand up and do a Founder! Your glutei will take shape and feel better! HEALTHY LIFESTYLE…WHAT IS IT AND HOW DO YOU DO IT? Of course, diet and exercise are at the top of the list. These two things are an absolute must do on a daily basis. What about other things like getting plenty of rest for example. The body needs 7-8 hours of sleep every night to rest, repair and re-energize. What about quiet time. I take at least one hour every morning to think, read, or write. This is actually my favorite time of day to get my thoughts in order. What about taking better care of your body with a massage one or 2 times a month? Massage is an other way to physically take care of the body. Massage helps loosen tight muscles, increase blood flow, energizes and relaxes the body. Massage is therapeutic and healing. Massage helps with tightness, soreness, injury and tissue repair. I believe this is where people fail when trying to implement a “healthy lifestyle” plan. Most just focus on loosing weight. A lot actually do loose some weight, but they usually do not keep it off. Why? In my opinion their only goal is to get some weight off. Their goals are short term! Health is for life. Changes are for life. “Healthy Lifestyle” is a way of life…for life! This is where people go wrong! Implementing a healthier way of life is takes commitment, accountability, support, dedication, and a desire to want to be a better you! A desire to be a better you…is this enough motivation? It should be, but frankly people just give up to easily. We have a new year upon us…just 3 more months until 2015. People love to start over in January…even I do. I usually choose something to add to my fitness arsenal. Hopefully, this article will get you thinking now about the whole package of living a healthy lifestyle. It’s more than just loosing weight. Happy Friday everyone. Taking a long week at the beach this weekend. Last time to the beach for 2014… Thank you to my friend LIBBA for the use of her beautiful home on the water. Just going to chill out, watch some Ryder Cup, and football. Also, working on some ideas for the winter to get some group classes going for Foundation Training. So if you are interested in learning FT in a class setting please let me know. I can not start a class with out students. Also, I still do private sessions. So, please read articles on the site all about FT and like my facebook page “stevey’s training room featuring foundation training”. If you have posture problems, back pain, degeneration, bulging disk, tight hamstrings , slumping shoulders, muscle weakness, instability, poor balance, and other body issues Foundation Training will help! You owe it to yourself to take care of yourself! Tell your family and friends. Give a gift certificate for someone who wouldn’t step up on their own to get better. Got a team or a group…learn FT together. Anyone and everyone needs Foundation Training! You will move better and feel better. Go like my Page….thanks for the support! What causes back pain and why do so many people have it? This is a very broad question with no definite clear answer. Of course, you can go to the doctor and get X-rays and a MRI which could show some deviations, bulges, some varying degrees of curvature. But how did these things happen? How many of us used to get along just fine with no pain…most people say, I’m getting so old. Aging is not a cause of back pain…it’s just not! Because one is getting older does not mean you have to be weak, bent over of live in pain. In my opinion most back pain is caused by the poor positions we place our body in on a daily basis over a long period of time. Research is continually showing that poor posture, sitting to much and not correcting certain movement patterns is the genesis of our back pain. A lot of this started back in our younger days and yes, as we age the continued stress we put our muscles and joints under takes its toll…leading to pain, worse posture, lack of strength and flexibility and more! LEARN FOUNDATION TRAINING… It’s that simple people. 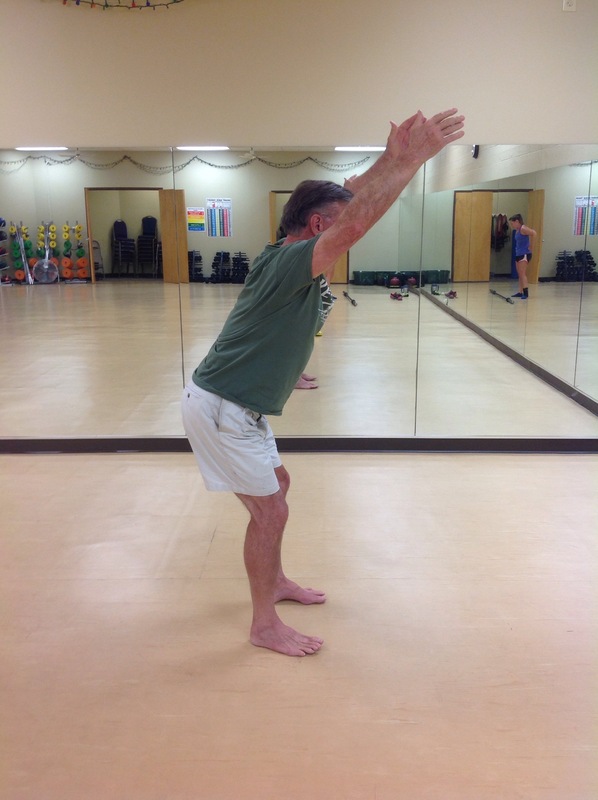 FOUNDATION TRAININGS is exercise…movement…strength training, body awareness…flexibility and mobility training! FT is the whole package! We have the power to improve our health and our bodies. In this day and age people live longer…take care of your body now. I don’t want to be 80 years old bent over and shuffling through the grocery store. Of course, I already practice FT… So, I’ll be just fine! 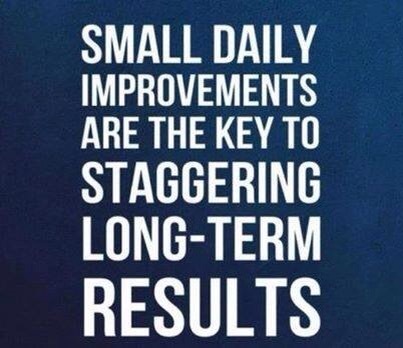 Contact me for your evaluation and first session…FOUNDATION TRAINING works and will improve your life! One of my clients in the picture. He has had 4 lessons. Came to me with back pain. He does take good care of himself and does yoga , but still had back pain. He has added FT to his daily regimen and has no back pain now. Notice how high his arms are . Day 1 he could only get them horizontal. His lats will now let him get those arms up. This is a powerful stretch he is in now….AWESOME! FOUNDATION TRAINING is is an innovative training technique to re-learn movement patters and to teach your body to work against the harmful effects of gravity. Why do we need to re-learn movement patterns? First of all gravity plays a part. Gravity pushes against our bodies all day long. When you factor in things like sitting at a desk for 6-8 hours a day with gravity pushing against us…it takes a toll on our bodies. We need to focus on standing up tall again, strengthen our muscular chains and our core, and breathe deeper engaging our lungs and diaphragm to help win the battle against gravity. Anchoring. This process takes place at the base of the pelvis to the arches of the feet. Your feet, in most cases, have very little grip strength or flexibility, and you’ll want to work on that. Your feet are not useless lumps of clay you slap on the ground. They are anchors for your entire body within a sea of gravity. So push back. Stand as big, broad, and as tall as you can. “Grab the ground with your feet. Get your arches and toe muscles to work. Get your ankles to work with a strong foot and you will have strong ankles. All that has to be strong to help you push back against gravity. This is regardless of your age. The older you are the more you likely need to learn this process, just take it slow and be steady.,” Dr. Goodman says. Decompression. The basic principle here is to actively lift and widen your rib cage, while simultaneously strengthening the muscles required to keep it there. Breathing into your rib cage is of tremendous importance and many people have nearly lost their ability to efficiently expand and contract their ribs, and ultimately their lungs. Integration. This is where the exercises begin to show off. As you develop the strength to effectively Decompress and Anchor your body, you will naturally be able to integrate this process in to daily moves. This term also describes our important process of integrating muscular chains to better support the body all around. According to Dr. Goodman, most people will notice a difference in their body within a week or two. Within three weeks, you should notice profound differences, provided you’re doing the exercises five to 10 minutes every single day. You don’t need to worry about recovery here, as you’re not exercising your muscles to failure, where you’re breaking down microfibrils in your muscles that would need time to repair. “You’re simply re-patterning and repeating a better pattern. You’re not trying to break an old pattern. You’re just repeating a better one and eventually getting there,” he says. Postural exercises such as those taught by Dr. Goodman are critical not just for properly supporting your frame during daily activities. The movement retraining process will stabilize your body so that you can safely perform high-intensity exercises without risking injury due to poor postural movement. FOUNDATION TRAINING really does work! It will not work if you do not take the time to learn it. Contact me for more information or to set up a session. One of the most important things in Foundation Training is to get people to start using their hips again. Somewhere along the road of life people have quit using the very muscles that are designed to protect our spine and our low back area. I talk about correcting movement patterns almost every time I write about Foundation Training. In the 2 pictures above I’m helping a co-worker with some hinging. To hinge properly the hips and knees need to be in proper position. To a lot of people these 2 pictures will look similar. When I teach the hinge the majority of people are going to hinge more with the knees than the hips. This is not correct! The hinge is about leading with the hips and closing down at the hip area with the knees over the ankles or behind the ankles with most of your weight on your heels. The top picture shows this. This is the correct way and the only way you are going to engage your glutei, hamstrings, and calves and trust me…you are going to feel it! The lower picture may look similar… But it is so wrong! Yes, the hips did start back and are closed down, but at some point the knees and quads said, let me help you. Now, the weight is all in the quad, knee and ball of feet area. Notice how far the knees are over the toes. This is wrong, wrong, and very unsafe. There is absolutely no posterior chain engagement happening in this photo. Why do the quads and knees take over? It’s simple…your posterior chain has been under utilized for no telling how long! The muscle get short, tight, and weak…now they do not want to work properly. The brain kicks in and says, knees help me do this hinge because I feel tightness pushing my hip back. This is how the body compensates for muscle imbalances. Most everyone walking around in today busy technology advanced world is muscularly dominant in the front of the body and muscularly compromised in the back of the body! Contact me for an appointment. Click on the FT tab if you would like to order the book or Instructional DVD. Not going to talk about to much today…mainly review what has been going on as I have not written in 4 or 5 days. Tough week at the office last week, had a fun couples golf tournament to play in Sat and Sun…played poorly the first day a little better yesterday. The SAINTS blew another game in the last 2 minutes. The Saints are really mood altering for me. On a better note…more golf for me today! Senior State Am is today and tomorrow. My body feels a little fatigued, but hopefully I can get it energized for 2 more rounds of golf. A quick walk, some decompression breathing, about 20 minutes of FT exercises and a chiropractic adjustment should do the trick! Foundation Training is an excellent warm up before any sporting event and equally good as a cool down. Time to go now…cup number two of my java then off for the walk.